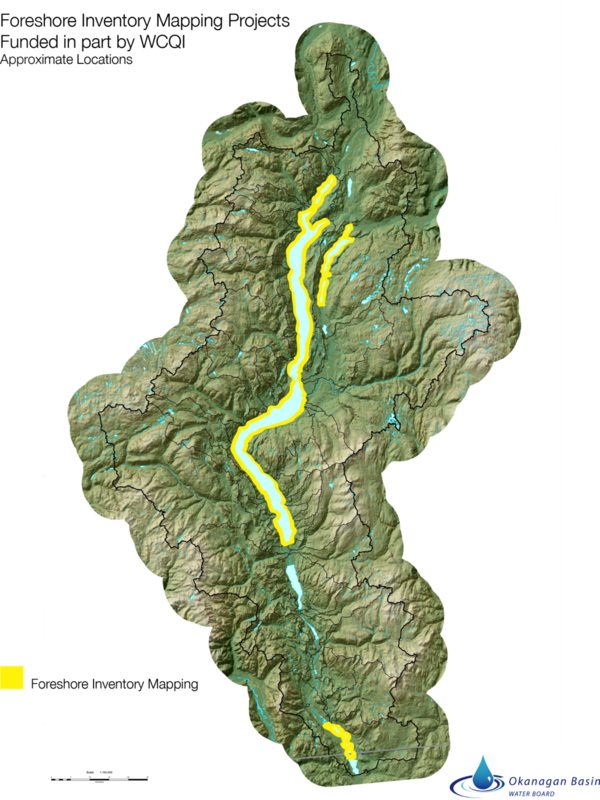 The Foreshore Inventory and Mapping (FIM) methodology was jointly developed by Ecoscape Environmental Consultants and Fisheries and Oceans Canada for use on freshwater lakes in British Columbia. FIM is used to quantify the level of disturbance (from a natural condition) that has occurred along lake shorelines. The strength of the methodology is that over time, it allows planners and resource managers to assess the rate of change occurring along shorelines. FIM serves to benchmark current foreshore conditions for regulatory agencies and for investigations into possible illegal foreshore activities or development. The Aquatic Habitat Index (AHI) is the second step in the mapping process. Fisheries data is added to the FIM GIS dataset and an index is developed to rank the relative fisheries value of a shoreline. The AHI is a categorical scale of relative habitat value that ranks shoreline segments to other segments on Okanagan Lake in a range between Very High and Very Low. The AHI is easily incorporated into shoreline planning and guidance documents, such as Official Community Plans or Waterfront Plans. It aids in developing land use policies, regulations and standards and is intended to increase long-term environmental planning capabilities for the protection of aquatic and riparian habitat within existing local government land-use planning programs. It provides agencies with an easily accessible inventory of land use, shore type, existing riparian condition and human-made alterations throughout the study area.